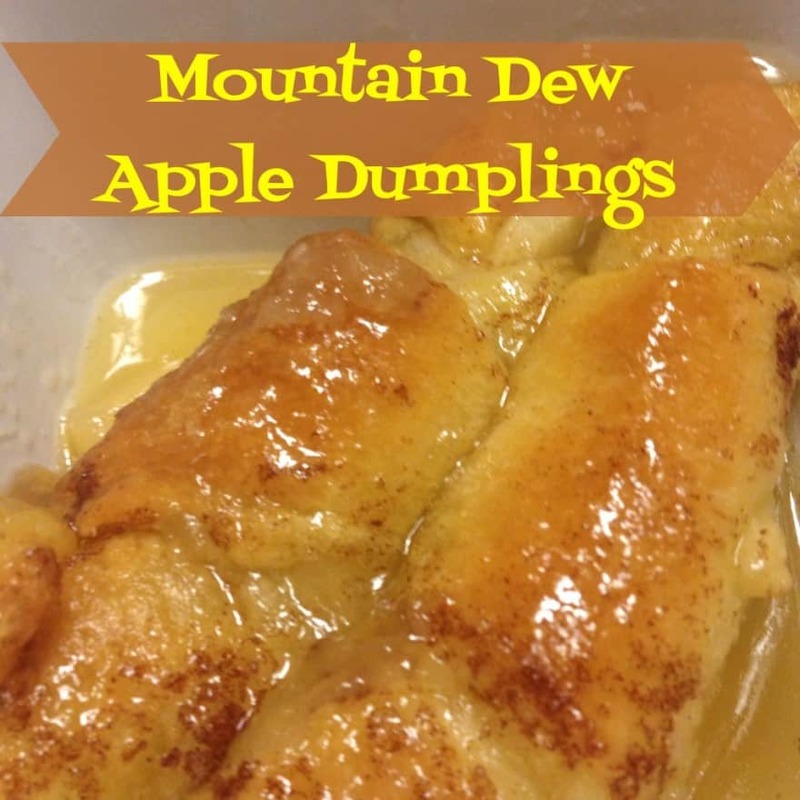 There are many variations to this southern recipe, but 3 ingredients are consistent across all of the recipes, Mountain Dew, Apples, and Canned Crescent Rolls. This is my favorite version of this recipe. The Mountain Dew may seem strange, but it adds a wonderful flavor to this. Give it a try! Preheat the oven to 350. 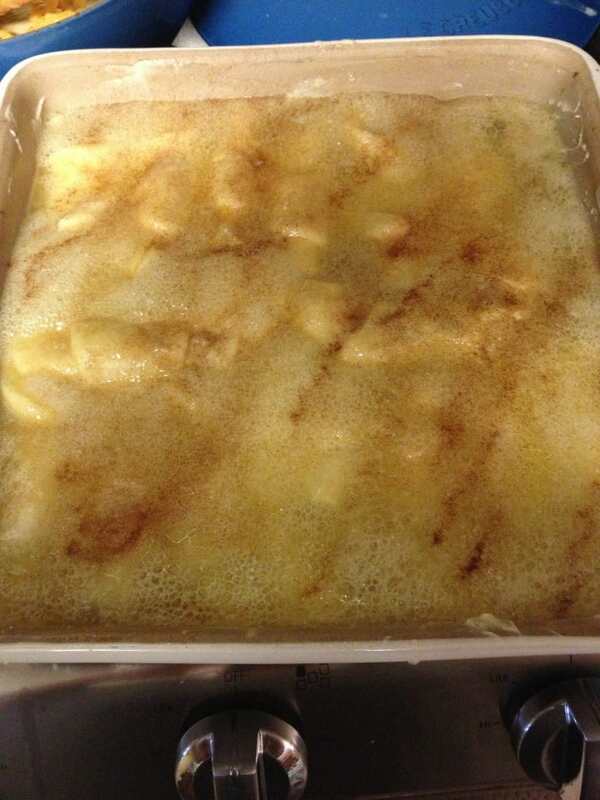 Grease a 8 X 10 inch baking dish with margarine and set aside. Peel the apples. Core the apple and cut each apple into 6 wedges. 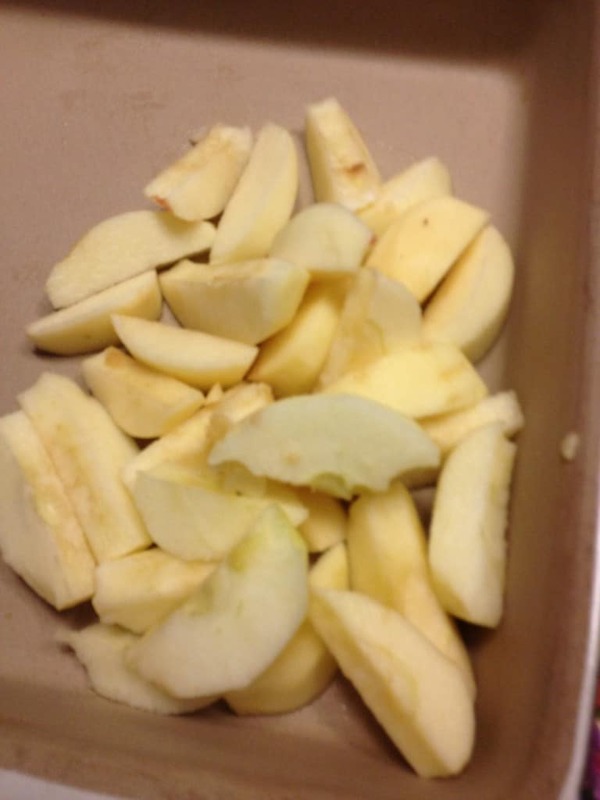 Wrap each apple wedge in 1 piece of crescent roll, beginning at the wide end of the triangle and ending at the point. 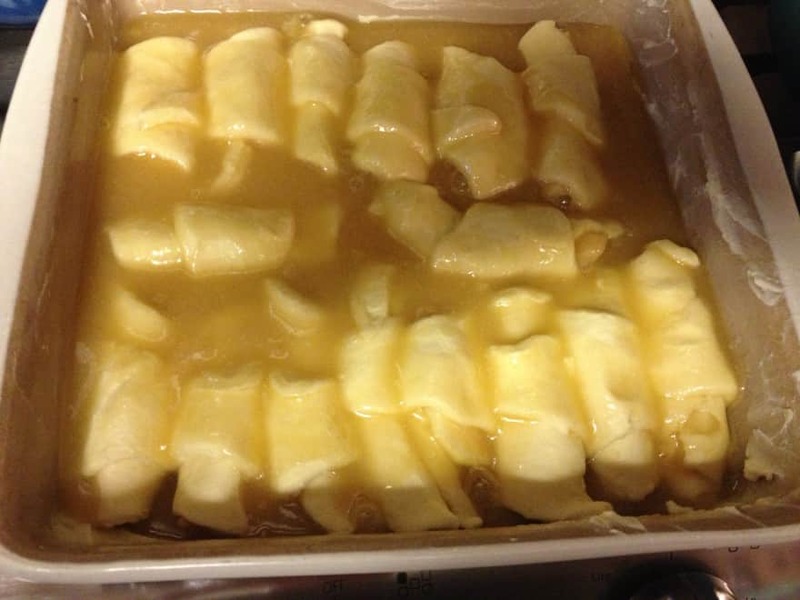 Place each roll in the greased baking dish, seam side down. 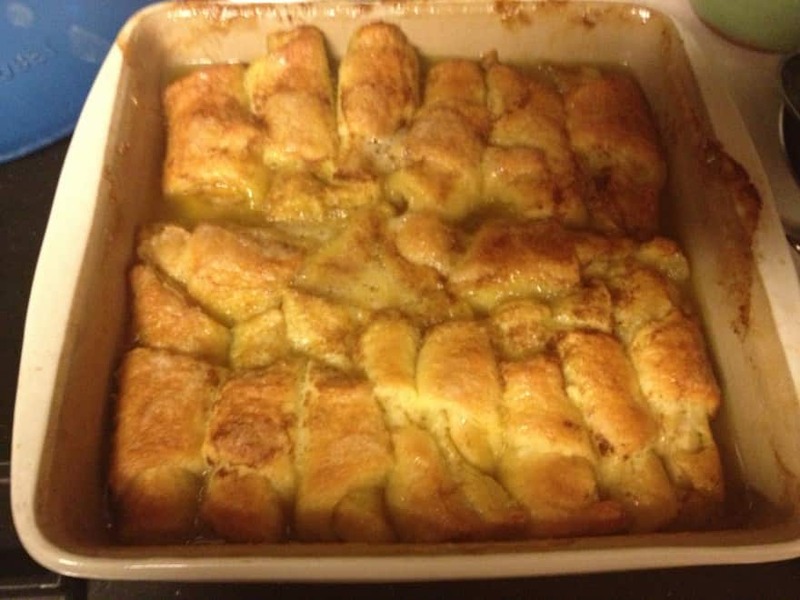 Repeat with the remaining 15 pieces of crescent roll (you will have 2 apple wedges left over. Place the stick of margarine and stick of butter in a saucepan over low heat. 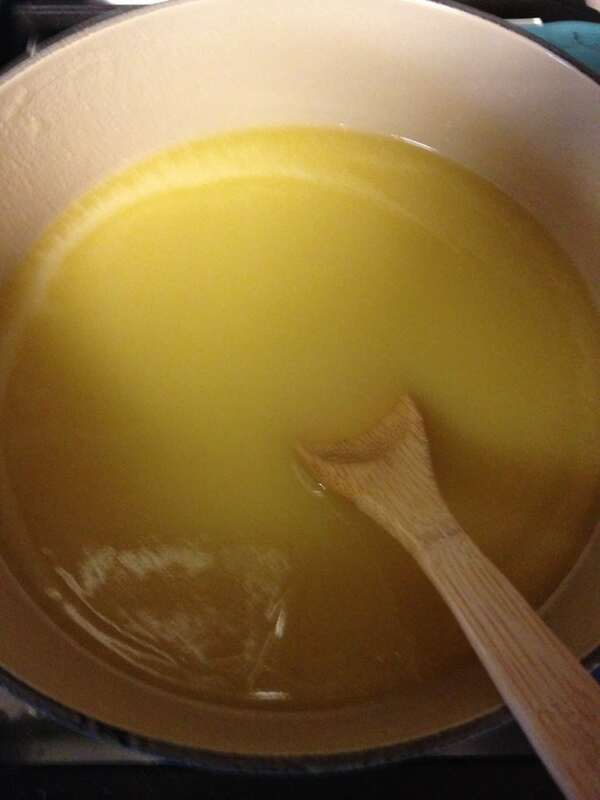 Add the sugar and stir until the margarine and butter melt (the sugar does not have to melt completely). Remove from heat and add the vanilla. 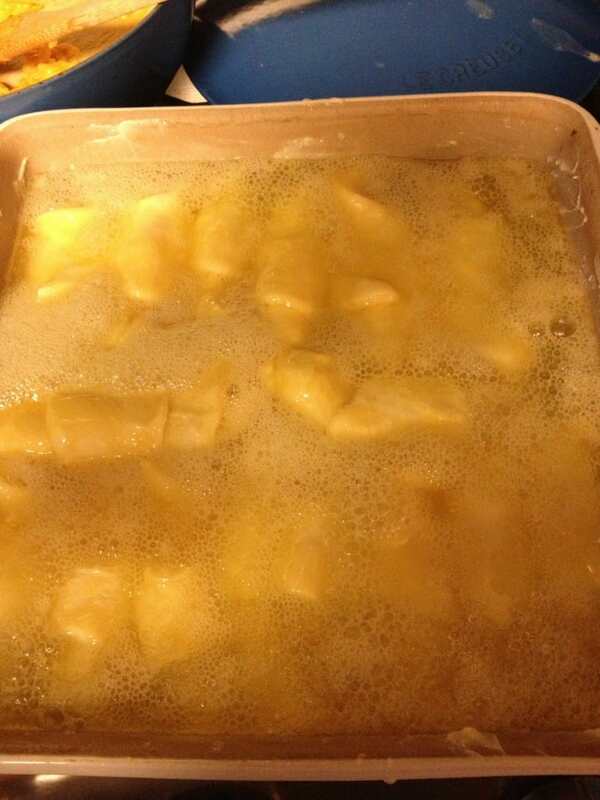 Pour the butter/sugar mixture over the rolls in the pan. Pour the can of Mountain Dew over the butter/sugar mixture on top of the rolls. Sprinkle the cinnamon sugar over the top of the rolls. 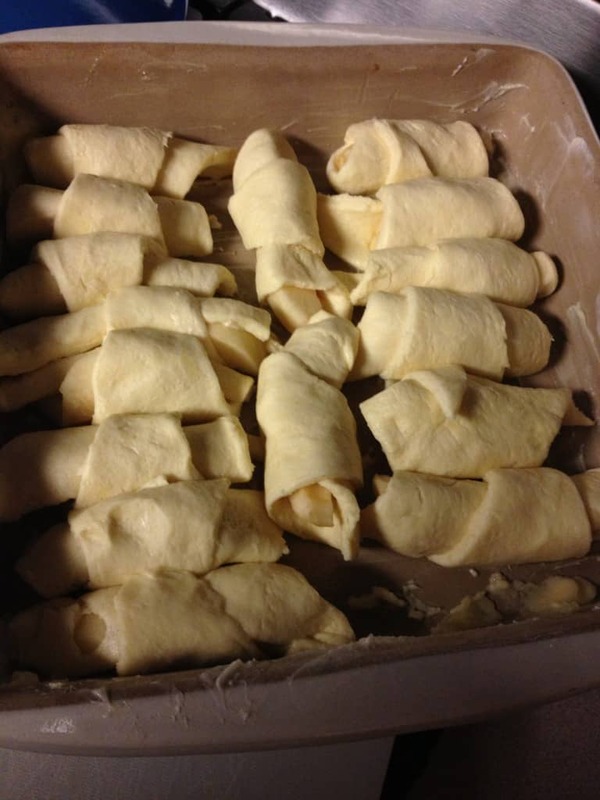 Bake the rolls fro 40 minutes or until golden brown. If desired, serve the dumplings with vanilla ice cream, spooning up some of the sauce from the pan on top of the ice cream. Enjoy!